Alaska, the lower 48 and the Great land of millions of Lakes, is the largest yet the least populated state of the United States. Originally, it was a part of the Russian territory and was bought by the US for a staggering $7.2 million in 1867. Providence Health and Services was the largest employer for the 2010 session. Alaska is not among the healthy health status counties and is among one of the unsafe states of the nation. Health Services and Department in the State are still in initial development phases. What is the Alaska Board of Nursing and what is the importance of the Board? Alaska Board of Nursing is the governing and administrative council that regulates and embodies the nursing laws in the Alaska State. It takes care of the any complaints and issues regarding the misbehavior and violation of laws against any nurse practitioner. The State boards of Nursing are also responsible for taking care of the various nursing programs that are running in the state. 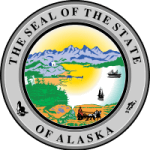 The Alaska Board of Nursing works under the Governor and State Department of health services. The Board governs the promotion and maintenance of nursing programs in the State. Maintaining a record of various nurse practitioners and nurse assistants in the state. Providing the information and application forms on various issues and training programs. Maintaining the nurse aide registry as well as abuse registry in the state. Reviewing and evaluating the performance of various programs and events in Alaska. Checking the license and certification of working professional and reporting the imposters. Maintaining the standards of service and ensuring the nursing laws regulation in the state. The Alaska Board of Nursing works under the commercial services department of the Alaska Department of Commerce, Community, and Economic Development. There are 4 quarterly meetings in every calendar year. Various important issues, like promotion and development of health care services, are discussed during the meeting. A final public comment is passed after each meeting by the Executive Administrator of the Board. Division of Corporations & Licensing appoints the board members in Alaska.